For most people, picking which movies to watch on Halloween isn’t a fraught decision – pop in any “scary” movie (from Hocus Pocus to Saw XI-whatever), and they’re set. For horror junkies who already watch scary movies 24/7, though, not just any movie will do when Halloween rolls around. After all, how do you commemorate the best day of the year (come at me, Christmas people) when what you’re doing isn’t all that different from a normal Monday night? For me, Halloween isn’t so much about being scared out of my wits (a feeling I strive for the other 364 days of the year) as it is about capturing the spirit of the day, and maybe recapturing a little of what it was like when you were a kid. Thus, I give you my list of the absolute best movies to watch on Halloween night. Idle Hands. If you’re in the mood for something purely fun, Idle Hands is where it’s at. This 90s teen-stoner-serial-killer-possession movie about a kid with a murderous hand is goofy, gross, a little scary, and full of Halloween goodness without delving into kids’ movie territory (sorry, but I just can’t get into Hocus Pocus like other people can). In what will prove to be a running theme in this list, it also takes place on Halloween, and therefore highlights some awesomely 90s costumes (there’s something so Britney Spears circa Baby One More Time about Jessica Alba in an angel costume… or is that just me?). Yes, this is a nostalgic pick, but it still holds up all these years later in the pantheon of teen comedies, and it’s a good horror comedy to boot. Anything Stephen King. 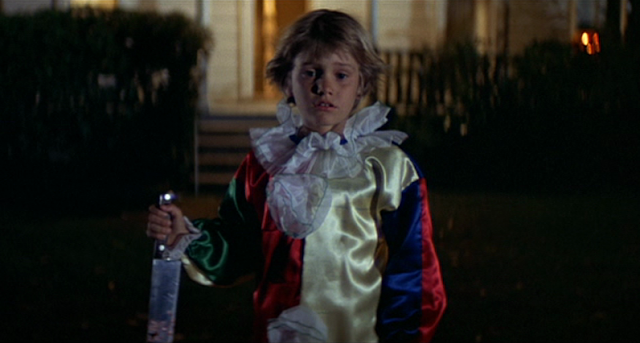 There’s something so quintessentially Halloween about a Stephen King adaptation, isn’t there? Something about the way King tells a story just feels classic, cozy, and creepy all at once. Some of my favorites are Pet Sematary, Misery, and The Shining. I also recently enjoyed Mercy, though that’s more a matter of taste. Hell, this could be your theme for the whole day if you let it – there are so many King adaptations (but be prepared for a broad range in quality). Bonus points if you watch with a Redrum cocktail. May. If you need something scarier – or gorier – I recommend May, a film about a lonely young woman who endeavors to make herself a new best friend by any means necessary. This early film from Lucky McKee is heart wrenching and repulsive in equal measure, and Angela Bettis is fantastic in the vulnerable lead role. If weird is your schtick, or you fancy yourself a true outsider in a world of posers, or if you just couldn’t find anyone to go trick-or-treating with you, May will help let your freak flag fly on Halloween night. 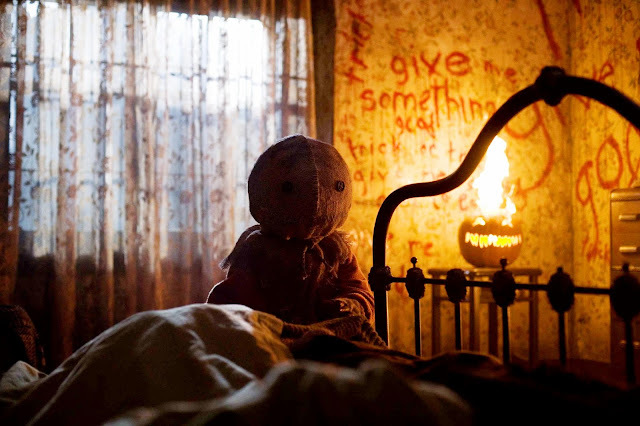 Trick ’r Treat. Full disclosure: this has been my Halloween movie of choice for at least the last five years. I know it’s not a revolutionary stance in the horror world, but I just don’t think there’s any movie out there that quite encapsulates the feeling of Halloween like this one. It’s silly and fun, but also shockingly nasty at times. The vignette style ensures that there’s something in there for everyone, and the film even introduces an indelible new horror icon in the form of Sam. I hope every year for a movie that can top this one, but a part of me is pleased each year that nothing has. Halloween. You knew this had to be on the list, right? And I’m obviously talking original, 1978, John Carpenter, Jamie Lee Curtis with bad hair Halloween, for which there is no replacement. (To be fair, I do watch Rob Zombie’s Halloween movies pretty much every year, for reasons mostly unknown to me… but to watch those on Halloween night would seem truly blasphemous.) Maybe it’s because I grew up watching AMC’s Halloween marathon every year as a kid – do they still do that? 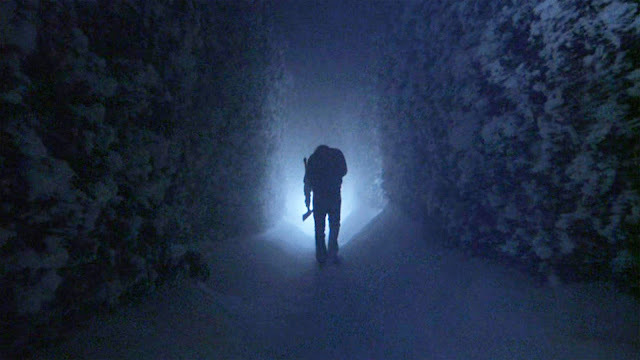 I don’t have cable anymore, so I don’t know, but I hope they do – but to me, this movie is Halloween. So what are your favorite Halloween flicks? Let me know what you'll be watching this year in the comments or on Twitter!